Z: EM-AUTOZERO, automatic zero point correction for long-term stable volume flow rate measurement and hence reduced maintenance. 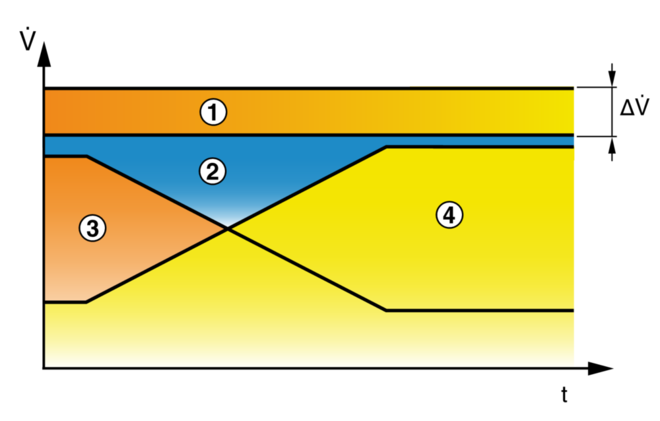 Monitoring of the sash position and signalling when the sash is opened beyond the maximum operational sash opening (EN 14175). 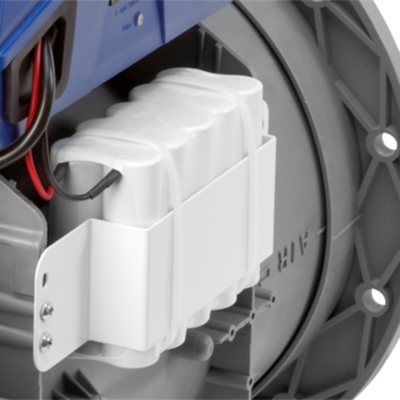 Circular VAV terminal units made of polypropylene (PPs), for variable air volume systems and fume cupboards. 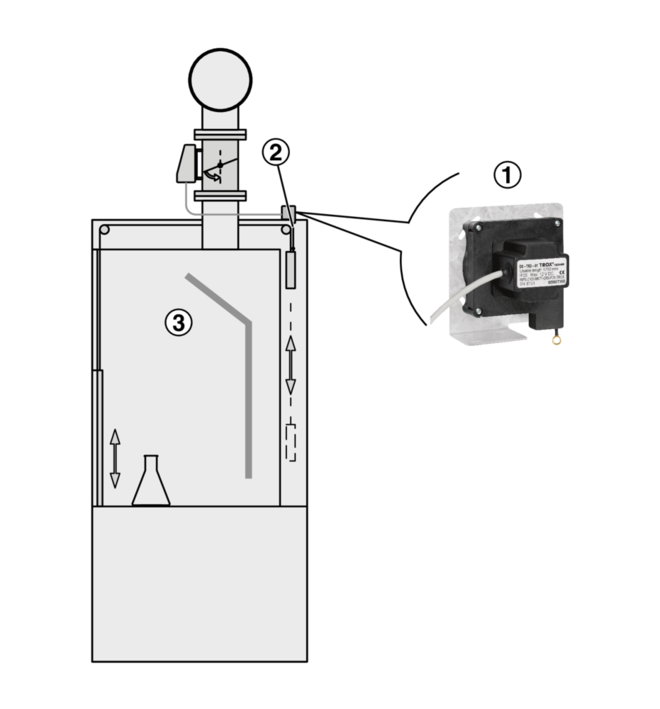 Suitable for the control of extract air containing aggressive media since all components coming into contact with the airflow are made of plastic (no interior metal parts). Ready-to-operate unit consists of the mechanical parts and the electronic control components (attachments). Each unit contains a damper blade and an averaging effective pressure sensor with bluff body or a Venturi nozzle for volume flow rate measurement. Factory assembled control components (attachments) complete with wiring and tubing. 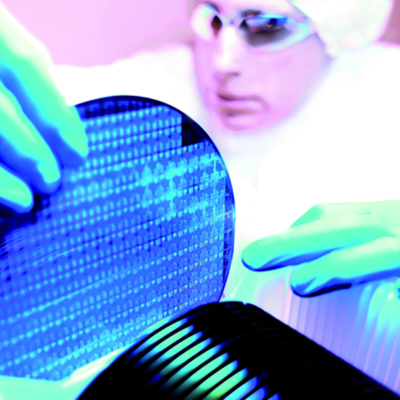 Effective pressure sensor with 3 mm measuring holes, hence resistant to dust and pollution. 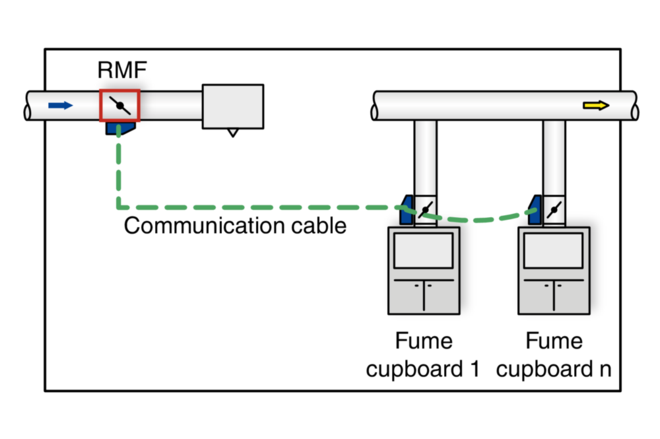 Electronic controller for the demand-based control of variable volume flow rates in fume cupboards including the integrated monitoring of the aerodynamic function according to EN 14175 with optical and acoustic signalling. Factory mounted onto the VAV terminal unit, complete with wiring and tubing, aerodynamically tested and factory set to the customer's parameters. FH-VS: Volume flow control on the basis of the measured face velocity and incorporating thermal loads. Monitoring of volume flow rate and face velocity. Control electronics using a microprocessor, with configuration settings stored in EEPROM memory and hence safe in case of a power failure. 5 analog inputs, 6 volt-free digital inputs, 3 analog outputs, and 6 digital outputs as relay changeover contacts. Static differential pressure transducer with room air induction to protect the measurement point. Maintaining of the volume flow rates through a permanent setpoint/actual value comparison in a closed loop with a limitation to minimum and maximum volume flow rates. Integration of variable or constant volume flow rates in the room balance using voltage signals, switch contacts or constant values. 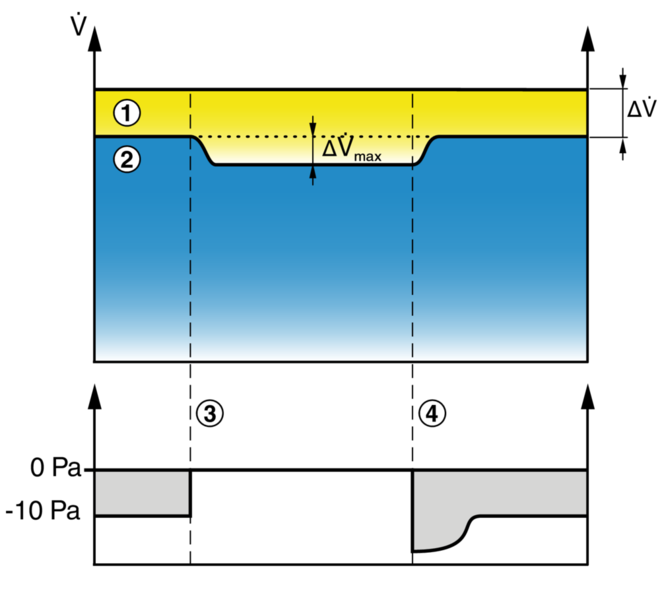 Signalling of volume flow rate actual values, damper blade positions, faults, and status messages to central BMS with analog or switch outputs. Connection of one or two (for fume cupboards with sash windows on two sides) adaptable EASYLAB control panels BE-SEG-** or BE-LCD-01 with optical and acoustic signalling. Alarm sound can be deactivated or the duration can be limited. Alarms and alarm signalling are configurable, e.g. suppressing alarms for certain operating modes or consolidating alarms from different levels. 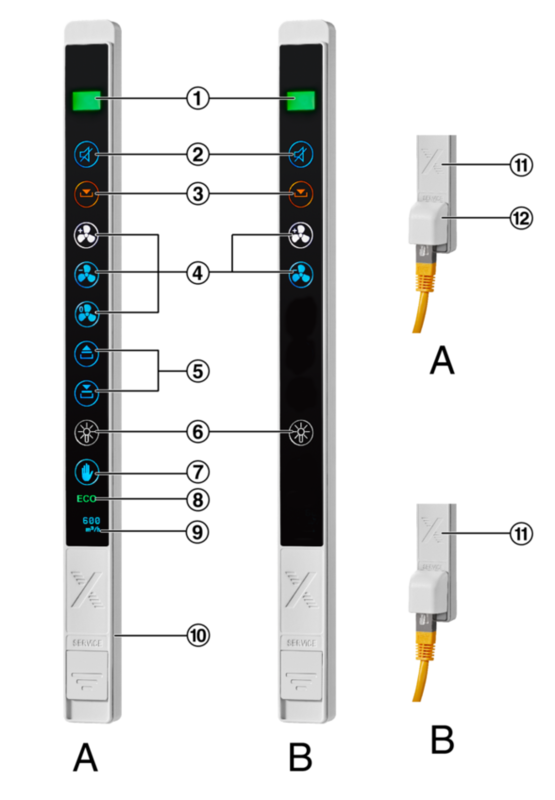 5 analog inputs for connecting the sensor system and for integrating up to 4 variable volume flows. 6 volt-free digital inputs for the integration of constant volume flow rates and/or for the control of special functions. 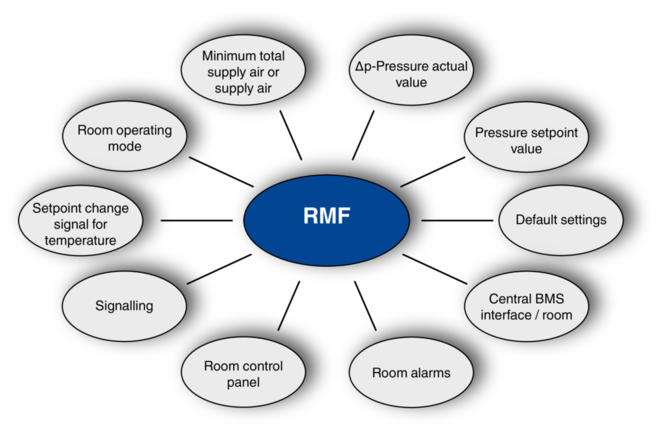 3 analog outputs for signalling volume flow rate actual values and the controller damper blade position as well as the total volume flow rate for the room (supply air, extract air, or supply air setpoint value). 1 digital output for volume flow rate alarm with configurable alarm conditions. 5 digital outputs for various special functions. Supply voltage 24 V AC. Circular VAV terminal units for variable and constant volume flow systems, suitable for supply or extract air, available in 7 nominal sizes. Ready-to-operate unit consists of the mechanical parts and the electronic control components (attachments). 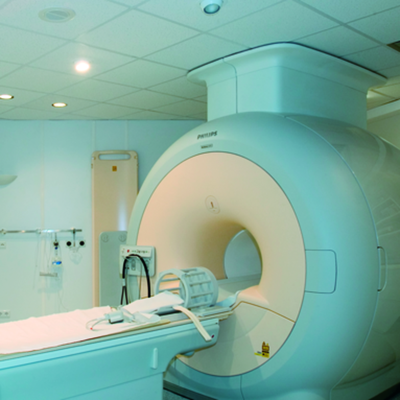 Each unit contains an averaging effective pressure sensor for volume flow rate measurement, and a control damper blade. Factory assembled control components (attachments) complete with wiring and tubing. Effective pressure sensor with 3 mm measuring holes, hence resistant to dust and pollution.Spigot with groove for lip seal, suitable for connecting ducts according to EN 1506 or EN 13180. 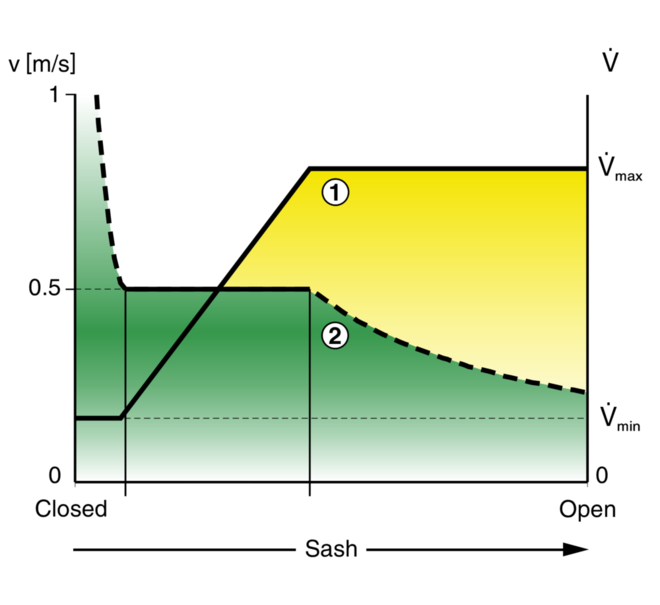 Closed blade air leakage to EN 1751, class 4 (nominal size 100, class 2; nominal sizes 125 and 160, class 3). Electronic controller for demand-based, variable volume flow control of supply or extract air in laboratories and for various tasks in hospitals and clean rooms. 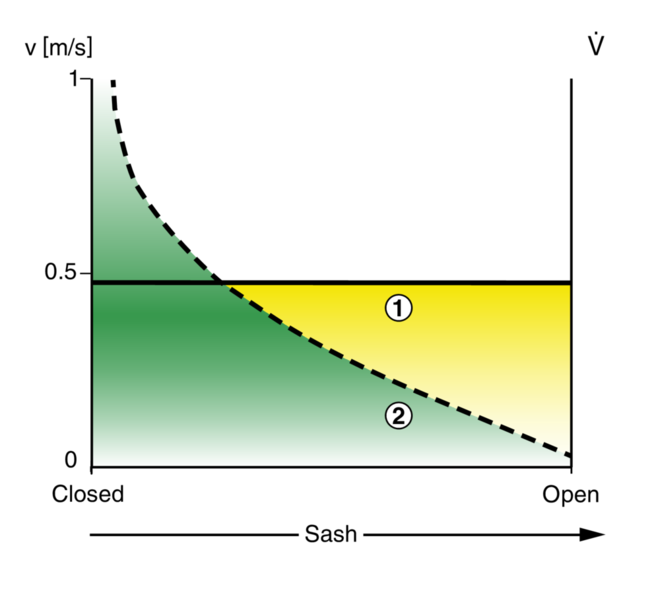 EC/SC: Control of the demand-based supply air flow rate / extract air flow rate. Up to 3 volume flow rate setpoint values can be stored on the controller and selected by an external device; shut-off is also possible. 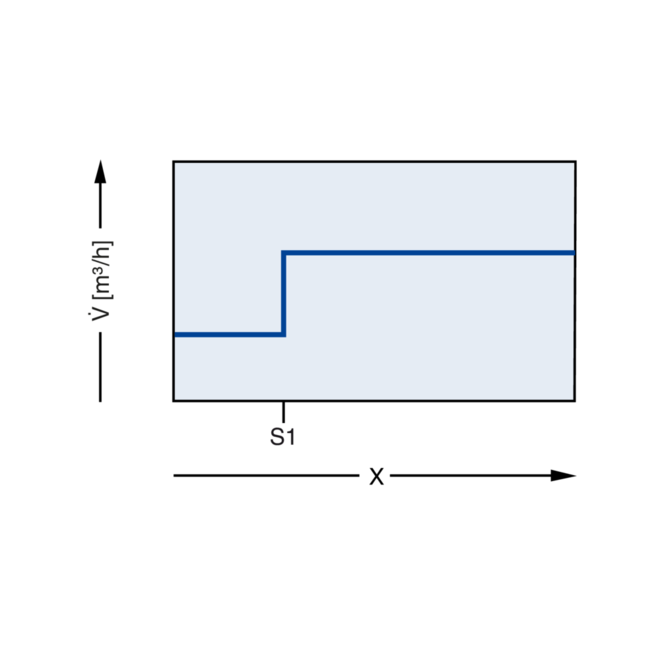 Setpoint value from an external unit (0(2) – 10 V DC signal) as an alternative. 1 analog input, 6 volt-free digital inputs, 3 analog outputs, and 6 digital outputs as relay changeover contacts. Static differential pressure transducer with room air induction to protect the measurement point. Maintaining of the volume flow rates through a permanent setpoint/actual value comparison in a closed loop. 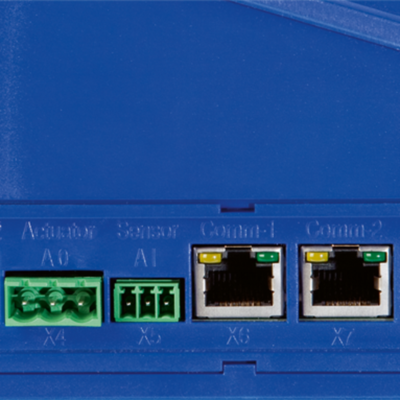 Connections for all important communication and peripheral devices are located on the outside of the casing and hence easily accessible. Indicator lights on the outside of the casing for alarms (on both sides), controller function (heartbeat), and communication. Signalling of volume flow rate actual values, damper blade positions, faults, and status messages to central BMS with analog or switch outputs. Alarms and alarm signalling are configurable, e.g. suppressing alarms for certain operating modes or consolidating alarms from different levels. 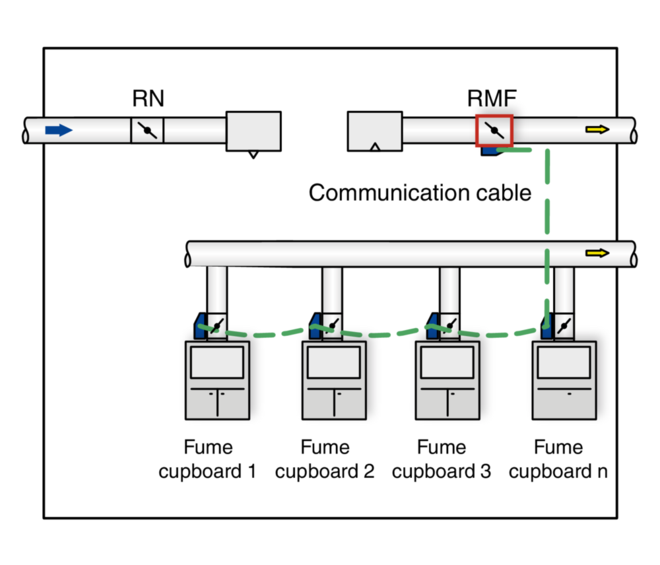 Up to 24 controllers can be connected to the communication line (fume cupboards, extract air, supply air, room controller). 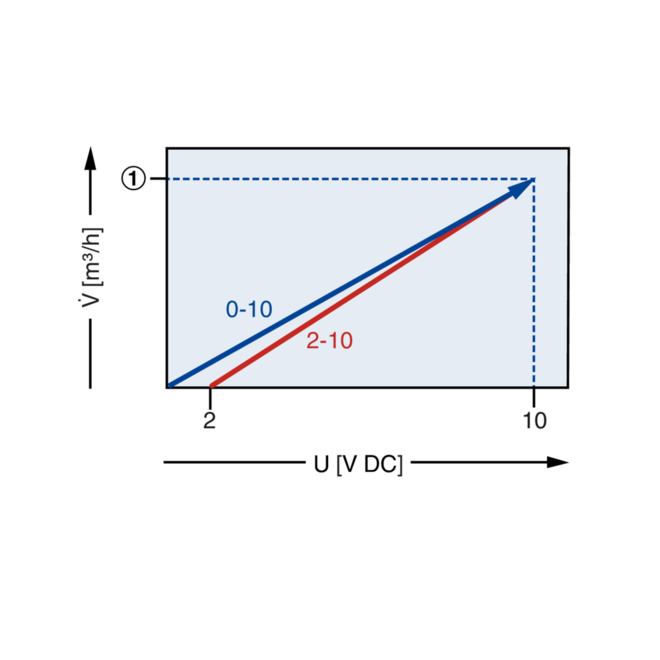 1 analog input for the default setting of a setpoint value from an external unit. 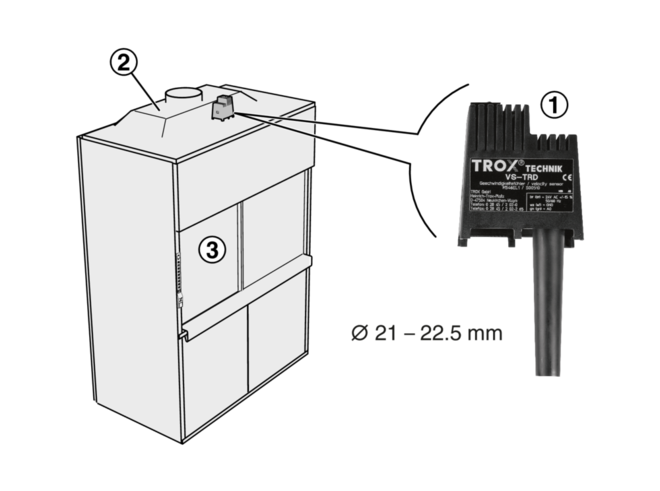 3 analog outputs for the signalling of volume flow rate actual value and controller damper blade position as well as (optional) total extract air flow rate, total supply air flow rate, or total supply air flow rate setpoint value. Fast-running actuator (running time 90° < 3 s)supply voltage 24 V AC. 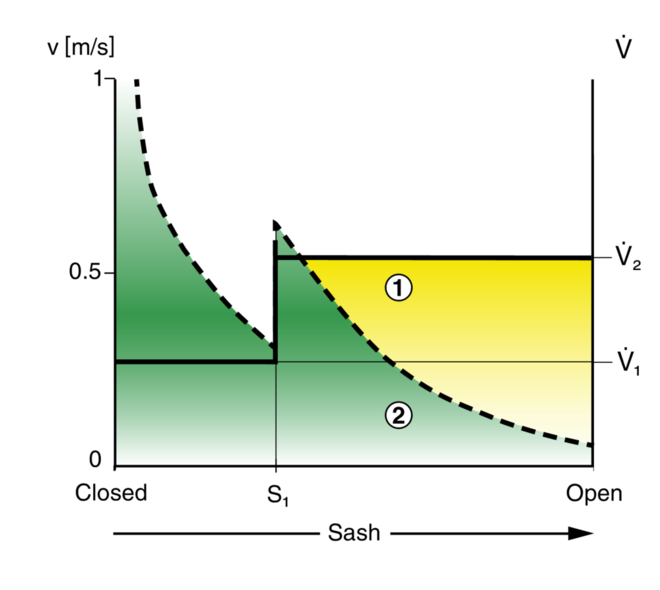 RS/LAB: Control of the demand-based supply air flow rate which results from the actual total extract air flow for the room; this strategy takes a user-defined difference into account in order to maintain the negative pressure in compliance with DIN 1946, part 7. 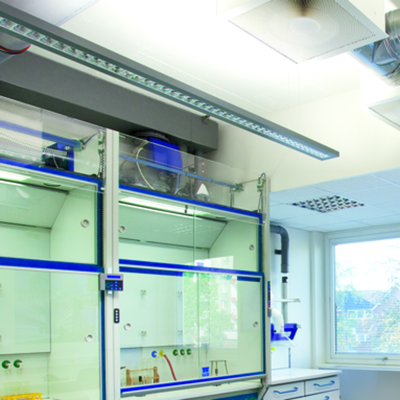 Balancing of up to 24 EASYLAB controllers on the communication line (fume cupboards, extract air, supply air. other connections). 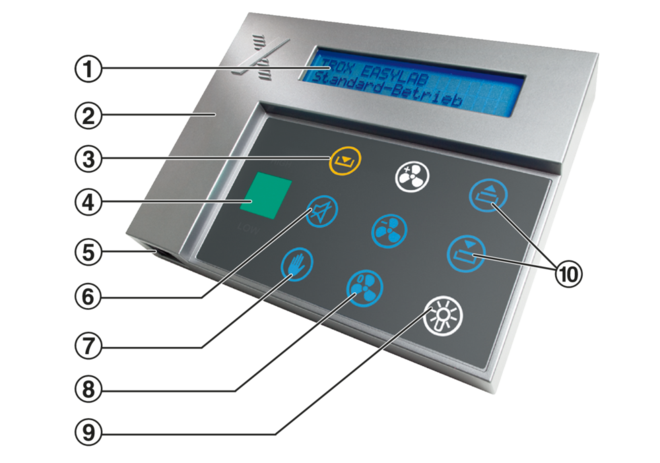 Automatic distribution of the extract air or supply air flow rates across several EASYLAB volume flow controllers for one room; alternatively, distribution can be configured individually. 4 analog inputs for integrating a volume flow rate setpoint change based on temperature, a volume flow rate setpoint change based on pressure, and/or a differential pressure transducer for internal differential pressure control. Unused inputs can be used for integrating variable volume flow rates. 6 volt-free digital inputs for operating mode default setting, switching between two pressure setpoint values and/or a door contact. The remaining inputs which are not used otherwise can be used for integrating constant volume flow rates. 6 digital outputs for volume flow rate alarm, pressure alarm with internal differential pressure control, consolidated alarm, volume flow rate optimisation at diffusers, or integration of sun protection/blinds and/or lighting or devices. Alarm conditions can be configured. 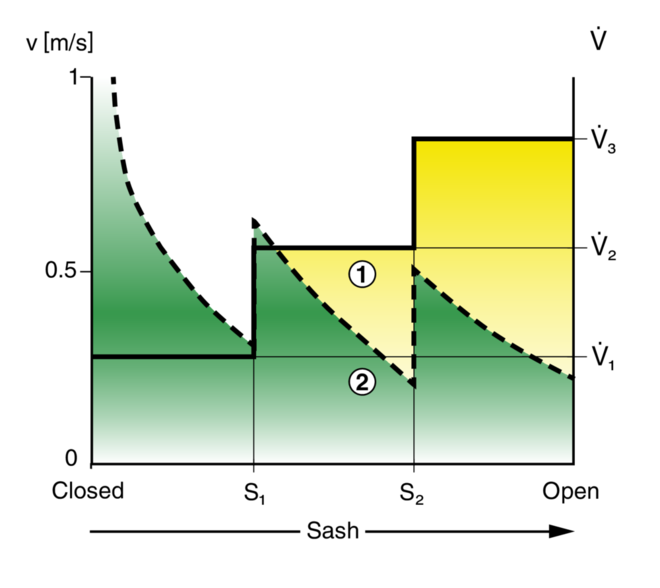 In addition, extract air and supply air volume flow rates can be permanently integrated into the room balance.